The last of the 7 Cooperative Principles for Credit Unions is the principle of cooperation among cooperatives. Not sure what exactly a cooperative is? You’re not alone, and you might be surprised how many organizations you interact with are actually cooperatives. A cooperative (or co-op for short) is a business that belongs to the people who have organized to provide themselves with the goods and services they need. For example, a farmers’ market is considered an agricultural cooperative: farmers organize a place where they can share the cost of making their produce available for public sale, and each participant benefits from the opportunity. In the case of a credit union, each member participates by putting money into the credit union so that they can also have the opportunity to take additional money out in loans or use other financial services. Some cooperatives you might be familiar with include Dairy Farmers of America, Ace Hardware, and Ocean Spray. Many electric power providers are also cooperatives. 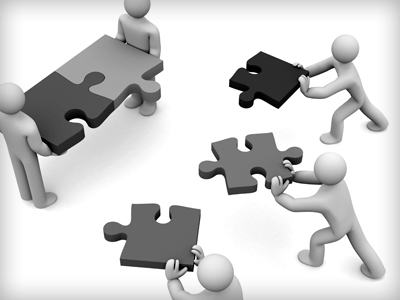 As cooperative organizations, credit unions look for opportunities to partner with other cooperatives to better serve members. Does your credit union partner with other credit unions (such as shared branching) or other cooperatives? Spread the word! Throughout this series, we’ve discussed each of the 7 Cooperative Principles for Credit Unions in order to help you identify opportunities to strengthen your credit union’s unique internal culture. Help your employees understand all seven principles and how your individual credit union supports them both internally and externally. You may just find that suddenly your members are becoming more knowledgeable as well.